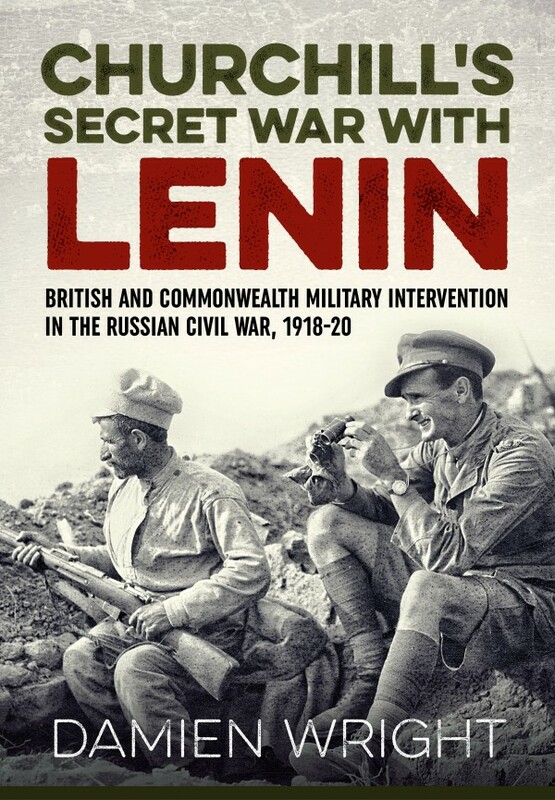 Churchill’s Secret War with Lenin: British and Commonwealth Military Intervention in the Russian Civil War, 1918-1920 by Damien Wright is a detailed history of the British involvement in the conflict. Exhaustively researched, it covers the British forces deployed to North Russia, the Baltic, South Russia, the Caspian and Central Asia, and Siberia with discussion of land, sea, and air operations. Additionally, there are separate chapters on the prisoners of war held by the Bolsheviks and British intelligence agents operating inside Russia. The book provides several interesting sketches, including the controversial Lieutenant-Colonel Jack Sherwood-Kelly, the daring Captain Augustus Agar, and the unlucky army officer who was captured and held prisoner in three different wars, by the Boers, Germans, and Bolsheviks. It is extensively illustrated with photographs and has several appendices. The title of the book is, unfortunately, inaccurate as it is strictly a military history of the British operations down to the company, vessel, or aircraft level. It does not discuss Winston Churchill’s efforts to expand the Allied intervention nor Lenin’s reaction to the British involvement in the Civil War. Neither was the unpopular intervention “secret” to the British public, while the actual Allied operations against Lenin were limited, half-hearted, and quickly abandoned. Wright illustrates the confused rationale for the intervention and the vague and occasionally contradictory orders issued by London to the commanders on the spot. He further recounts the unreliability of the local allies recruited by the British, including Red Finns, and that the effectiveness of the British forces was marred by cases of poor morale that extended to mutinies and disobedience by the Royal Marines in North Russia and sailors in the Baltic. Wright accurately concludes that only the British intervention in the Baltic can be “considered a success” as it secured the independence of Estonia, Latvia, and Lithuania. Churchill’s Secret War with Lenin: British and Commonwealth Military Intervention in the Russian Civil War, 1918-1920 is a comprehensive study of the intervention that was undertaken with unclear goals and meager resources in exceptionally difficult conditions amidst a bloody civil war. The March issue of the Churchill Bulletin: The Newsletter of Winston Churchill has been released. 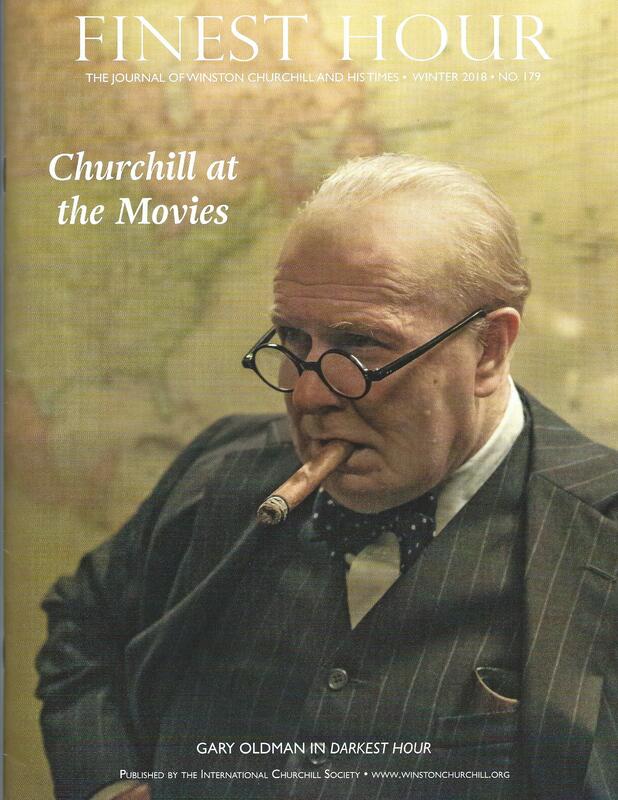 It includes articles on the upcoming 35th International Churchill Conference in Colonial Williamsburg, Virginia; Gary Oldman being awarded the Oscar for the Darkest Hour; and the latest Churchill Quiz. The Churchilliana column features wartime posters written in Hebrew. The newsletter is available here. In a recent piece, “The Churchill Marriage and Lady Castleross,” in the American Spectator, Richard Langworth disputes the assertion in a recent journal article that Winston Churchill had an affair with Doris, Lady Castlerosse. The assertion is made in the article “Who Commanded History? Sir John Colville, Churchillian Networks, and the ‘Castlerosse Affair” by Warren Dockter and Richard Toye in the Journal of Contemporary History. Langworth writes the claim of an affair is based on a “single remark of an old colleague” that “is contradicted by other old colleagues, the actions of Churchill’s wife and friends, a shortage of facts, and plain common sense.” The Dockter/Toye article is here and the Langworth article is here. Winston Churchill’s most famous moment on a horse was aboard a small Arab pony in the charge of the 21st Lancers at the Battle of Omdurman on September 2, 1898. 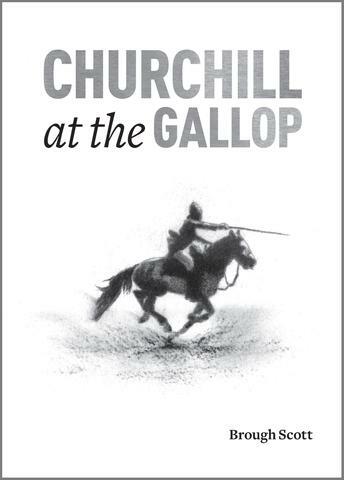 The charge against the Dervishes was “in every sense, the ride of his life.” The famous, but ill-advised, action of the 21st Lancers is described in Churchill at the Gallop, a biography of Churchill as a horseman. The book is written by Brough Scott, a former jockey as well as a broadcaster and author (Galloper Jack). The author observes that “the challenge, the escape and the power that horses gave [was] one of the shaping forces” of Churchill’s life. Churchill rode horses in earnest for about 40 years, from his entry into Sandhurst in 1893 to the mid-1930s. He rode both as a necessity of life and as a means of relaxation. After placing second in the riding class at Sandhurst, he went on to ride in military campaigns in Cuba, India, Sudan, and South Africa (where he rode more than 400 miles in 45 days) as well as played polo (winning a championship in India), hunted, raced steeplechase, and rode for exercise and entertainment. He even went on pig-sticking expeditions, including in such locales as East Africa. After 1936 Churchill rode only once more, but in 1947, with the assistance of his son-in-law, he started a racing stable. In 16 years he raced 46 horses and won 71 races, with his most famous horse being Colonist II. Gary Oldman who was awarded the Best Actor award for his portrayal of Winston Churchill in Darkest Hour was interviewed by Churchill scholar Dr. Larry Arnn. They were joined for the interview by the movie’s producer Douglas Urbanski. 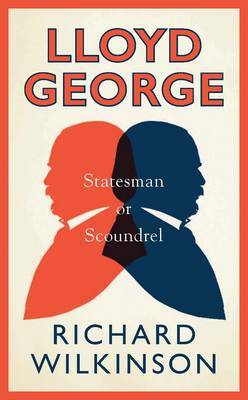 David Lloyd George was Winston Churchill’s friend, political partner and sometimes adversary, and one of the few figures whose accomplishments rivals Churchill’s own. In his long political career Lloyd George was a radical reformer who brought in the People’s Budget and defeated the House of Lords; a senior cabinet member in the first years of World War One; the prime minister who “won the war;” a drafter of the Treaty of Versailles which created the League of Nations, and the negotiator of the Irish treaty. Balanced against these accomplishments he was a virtual bigamist who cheated on both his wife and mistress and largely alienated his children; bore responsibility for the destruction of the Liberal Party; cynically took positions for political gain; failed to dominate the British generals and admirals during the war; traded honours (peerages, knighthoods) for cash for his personal fund; cheerfully met Hitler in 1936; and was a defeatist during World War Two. The theme of the Winter 2018 (No. 179) issue of the Finest Hour: The Journal of Winston Churchill and His Times is “Churchill at the Movies.” Articles include the leading portrayals of Churchill in films in the article “Churchill on Screen: The Five Best” by Michael F. Bishop; “Love, Self-Sacrifice, and Whomping Bad Guys: Winston Churchill’s Favorite Films” by Robert James; and “Let it Roll: Churchill’s Chartwell Cinema” by Justin Reach. Churchill’s piece on Hollywood, originally published in the Daily Telegraph in 1929 is reprinted. Also of interest is Ronald I. Cohen’s column which examines the publishing history of My Early Life, Churchill’s account of his life until he entered parliament in 1901. The website of the Finest Hour is here. As a leading British politician and international statesman for many decades, Winston Churchill met many of his era’s most famous individuals, ranging across many fields including the entertainment industry. 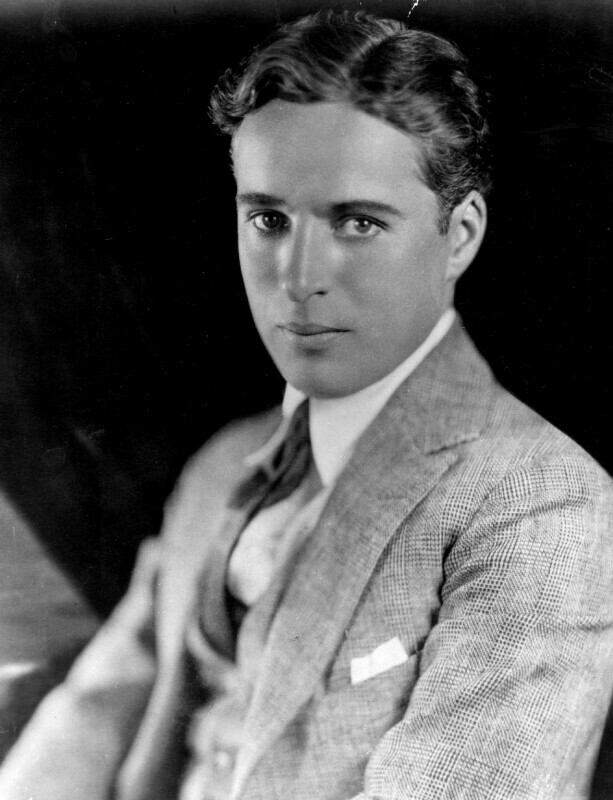 While in Los Angeles in 1929 he met an actor whose lasting fame rivals his own. On the visit to the American west coast, Churchill was introduced to and became friends with Charlie Chaplin. The friendship is described in the article “The British Bulldog and the Little Tramp: Winston Churchill and Charlie Chaplin” by the author of this blog and published in the most recent issue of the Finest Hour: The Journal of Winston Churchill and His Times (Winter 2018; No. 179). Churchill’s travels in 1929 are fully recounted in Churchill in North America, 1929: A Three Month Tour of Canada and the United States, also by the author of this blog. The Finest Hour’s web site is here.